Windows 10 brings back the Start Menu from Windows 7 and introduces new features, such as the Edge browser that lets you mark up web pages on your screen. Features IPS (in-plane switching) technology for wide viewing angles. 4K (3840 x 2160) resolution creates an immersive, realistic picture. Powerful quad-core, eight-way processing performance. Intel Turbo Boost Technology delivers dynamic extra power when you need it, increasing energy efficiency when you don't. 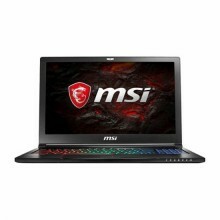 Backed by 6GB of GDDR5 dedicated video memory for an ultra-fast, advanced GPU to fuel your games. 360° virtual surround sound powered by Nahimic outputs rich audio and deep bass. Features thin and light design with the DVD/CD drive omitted for improved portability. Connect to an HDTV or s high-definition monitor to set up two screens side by side or just see more of the big picture. Include a Mini DisplayPort, microphone-in and headphone-out jacks. 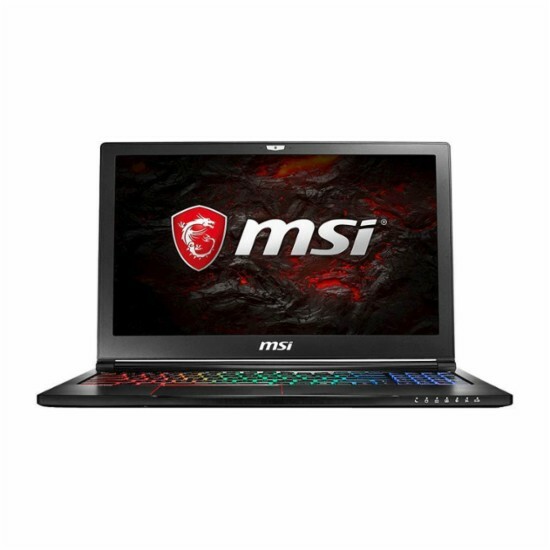 Click the button below to add the MSI - GS Series STEALTH PRO 15.6" 4K Ultra HD Laptop - Intel Core i7 - 16GB Memory - GeForce GTX 1060 - 512GB SSD + 2TB HDD - Aluminum black to your wish list.